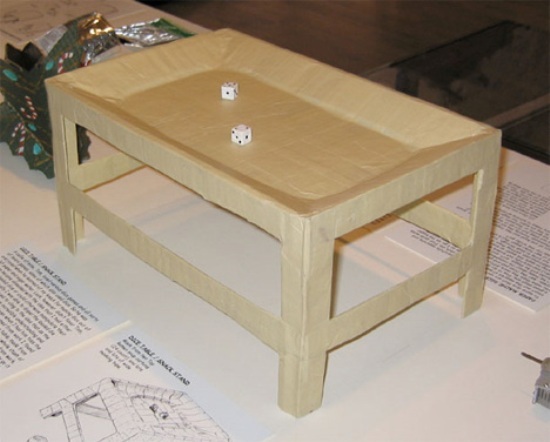 This nice looking table made from ramen noodle packages and masking tape, is perfect for playing dice on or enjoying your snack on. When an inmate needs to light a homemade candle or hard-earned cigarette, obviously he can’t just pull a lighter out of his pocket because, well, those aren’t allowed in prison. The assembly pictured above is result of an intelligent idea by one inmate which requires you to just connect the free end of the wire with the naked terminal of the battery. Doing this will heat up the exposed part of the wire in the middle; great for a little spark. 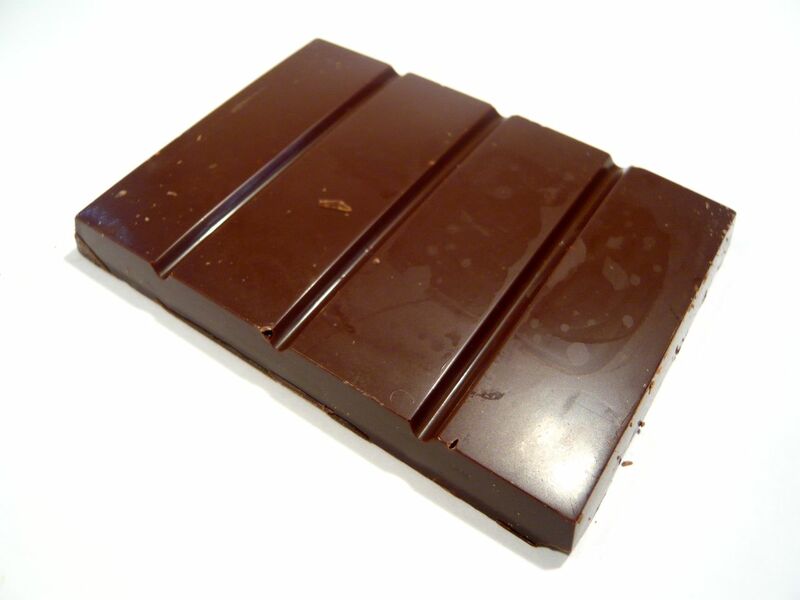 Prisoners melt down candy bars on hot plates and then throw the molten mess into the face of their target. Rapid cooling of chocolate makes it very difficult to take off after it severely burns off the skin owing to its high specific heat. 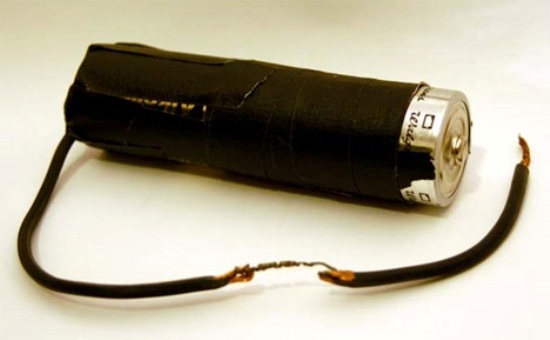 This intelligently hidden blade was made by an inmate in the prison workshop in a German prison. Generally, prisoners use materials such as chicken bones, sharpened toothbrush handles, and melted and hardened trash bags or Styrofoam cups for their weapons but this one was really worked on. most of these items seem to be out of german production. Maybe we should stop providing our prisoners with razorblades, electric wire and sharp edged metal objects. Also the M-16 rifle was designed by 2 guys in prison. 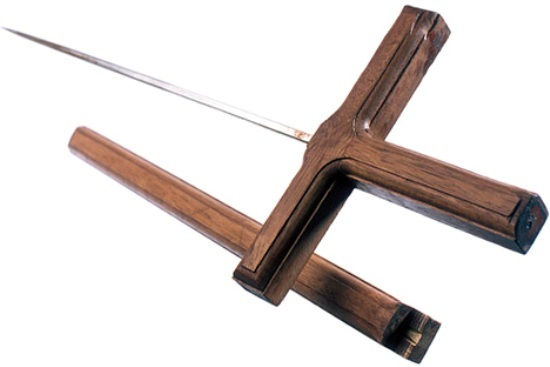 Since they were in prison the government confiscated their design and now it’s the most popular rifle in use today. That’s what they told us in basic training anyway. When I was locked up, there were a lot of Black Muslims who played various gambling games. Being a Jew (and friends with one of them) I make a dreidel (out of paper mache, not clay) and taught my friend how to use it. He shared it with his friends and soon all the Muslims were playing dreidel…until someone told them it was a Jewish game. I don’t think prisoners are allowed to keep batteries. however, the idea of stove and killing blade are nice. This makes eviterhyng so completely painless.